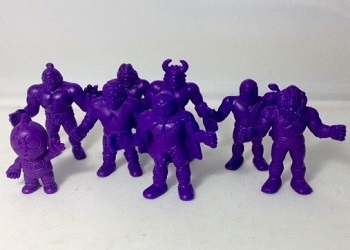 MMMM #85 is going to be on the touchy subject of Class A figures – namely the Purple ones. 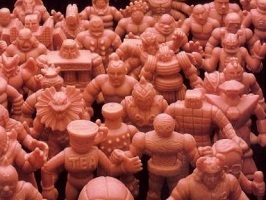 Firstly I will state that this is one man’s opinion – not necessarily the opinions of the University of M.U.S.C.L.E. and in no way is this post meant to influence pricing or rarity. Now that we have that crap out of the way, I’d like to share my investigative thoughts on the Class A figures & in particular, the purple ones as I think in this color there is the most discrepancy. I have done my research based on Soupie’s Muscle Colors website and others that are similar and will break down my thoughts on cases. Firstly, I will explain the definition of a “Tree” is when a collective group of figures are all produced in the same color ranges. This is why some figures are in certain colors and not others. 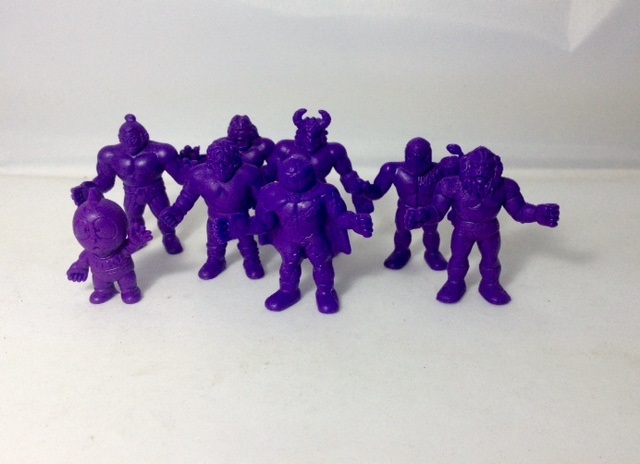 So Case #1 – The Kinnikuman Tree #1 which as we understand has purple Class A figures 41, 93, 123 & 156. 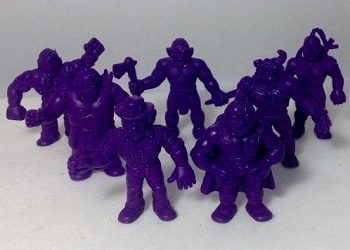 In this case, if those 4 figures are Class A, then so must these purple figures 27, 28, 39, 55 & 220. Added to this is the fact that all 4 understood Class A figures are on the low end of the supply & demand scale, and that’s because they pop up somewhat frequently in auctions (therefore generally priced accordingly) I am going to state that NONE of the figures in this tree are Class A figures . Case #2 – Purple figure #60, in the same tree as #’s 20, 23, 31, 33, 35, 36, 46, 61 & 82. This tree has all Light Blue Class A figures and I believe only the Light Blue ones are Class A. 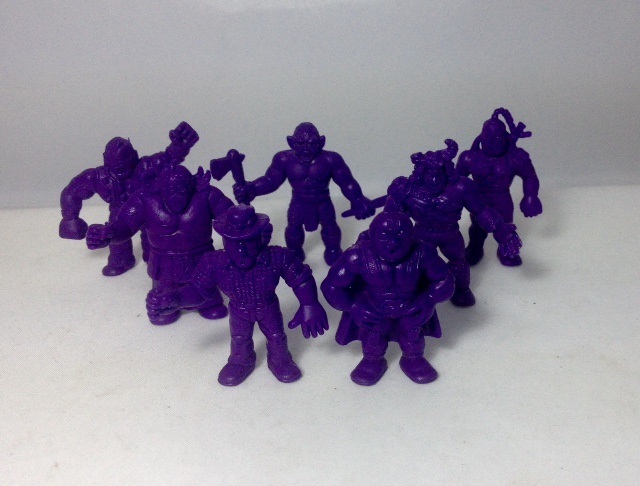 Why would Purple #60 be the only purple (and salmon) figure to have a Class A? Supply and demand only. #60 is quite popular. A purple one is less common than a Green, Red, Magenta etc and therefore the popularity is price driven. Again, a purple #60 would not command the same price as a Light Blue #60. Case #3 – Tree #7 – This case is much trickier. The tree has 4 figures – #2, 100, 101, 102. The Purple #2 is a popular Class A. The other 3 figures are not known as Class A figures. In my many years of collecting and to some degree studying (I am at the University of Muscle after all) I have seen a number of posts from collectors chasing a purple #100 & 102 in particular. The fact that collectors have created “wanted” posts for these figures says to me that they are not readily available figures. Where the difficulty comes in is judging the sale price of the one confirmed Class A – #2. The last one sold for over $100. Is that because it’s a popular sculpt or difficult figure to obtain? I think it’s a combo of both and I truly believe the 4 purple figures in this tree #2, 100, 101, 102 ARE in fact Class A figures. This entry was posted on Tuesday, December 6th, 2016 and is filed under UofM News. You can follow any responses to this entry through RSS 2.0. You can skip to the end and leave a response. Pinging is currently not allowed.